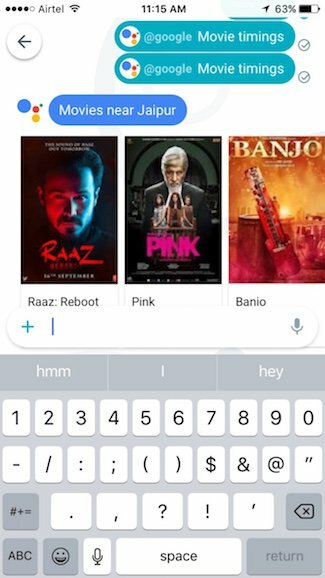 We are sure that many of you out there are already using Google Allo and starting to like it. 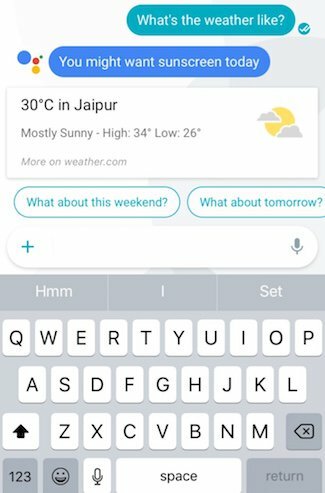 To make your experience better while using Google’s new messaging app, we thought to come up with this article that will let you know about some of the best Google Allo tips and tricks that you might not be aware of. All these Google Allo tips and tricks can increase your experience and you never know Allo will be your first preference as your default messaging app. 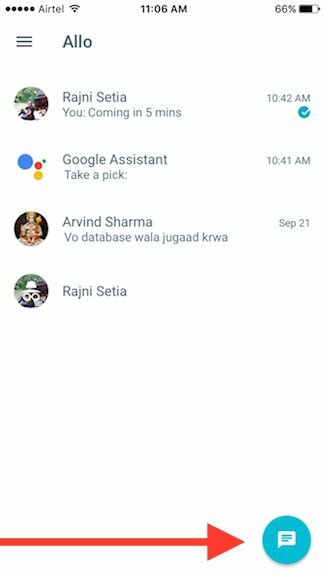 Google Assistant provides you a series of suggestions based on the conversation for your regular messages and help you to respond faster during a chat session. Sometimes they are so correct that you would happily tap on them, but at times they look very irrelevant. It happens because a bot cannot understand what you think, but when you chat regularly, it learns your messaging pattern and becomes smarter. 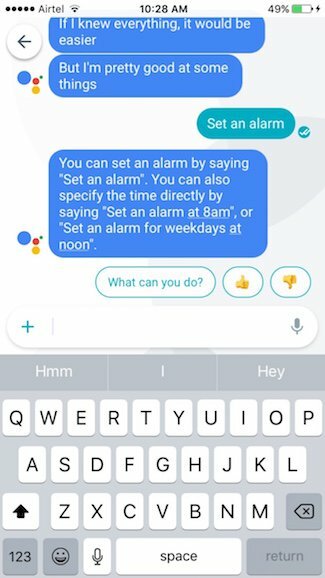 It is pretty simple, all you need to do is just send a message to Allo or say “set an alarm” and tell the specific time. If you don’t tell the time, then it will proactively give you some suggestions and once the time is determined, an alarm will be set automatically on the phone. You can get notifications on your screen by just saying “How is the weather?” or “What’s the weather like?” and it will show you the temperature based on your location with a short detail. If you ask for more information, it will take that from weather.com and display on your chat window. You can ask for daily forecast by saying “send me daily”. This one is so accurate and fast. Infact, there is no need to complete the sentence because it understands by the keywords only. Even if you say “restaurant nearby”, it will show you the result about the restaurant around you immediately. 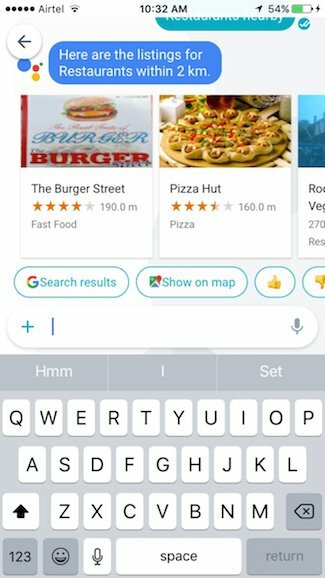 If the location of the suggested restaurant isn’t preferable that you can ask the Google Assistant to take you to the map and show the top restaurants based on the rating provided by Google Plus users. You can see the current details of your flight by just saying “Status of (Flight number)” and it will show you the information such as schedule time, gate and terminal on the chat window. The facility is not limited to your flight only and you can get details about any flight as it takes answer directly from the search engine. This is very useful, specially for those who always stay busy and usually forget to do many tasks on time. 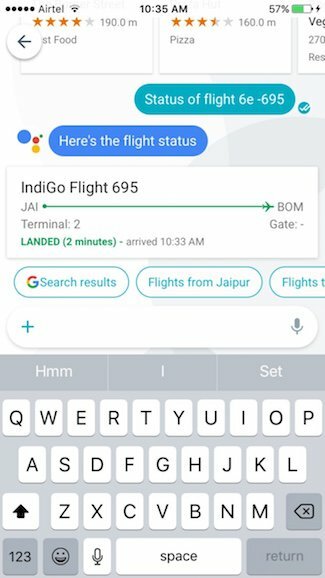 Whether it’s an important meeting or a scheduled flight, you can set reminders and Google Allo will remind you on the right time so that you don’t be late. 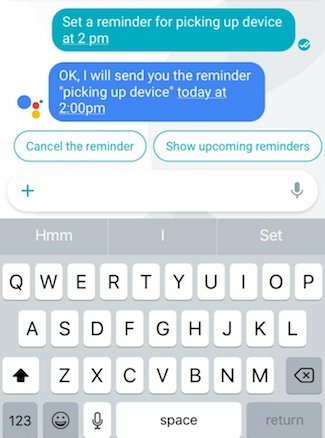 All you need to do is just say ‘Add a reminder to (the place where you want to reach)” it will ask you about the time, answer and that’s it. Yes, you can enjoy plenty of games with Google Allo. 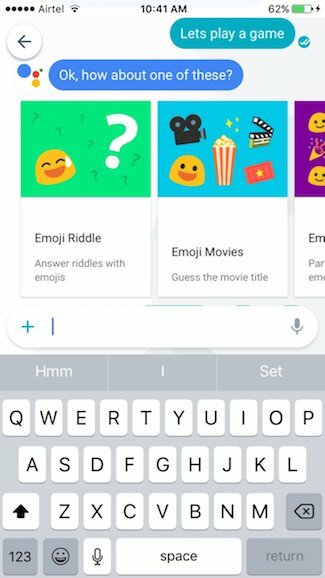 The feature doesn’t appear directly, but when you say “Let’s play a game”, it opens a Pandora’s box which consists multiple categories such as Quiz games, Chat games, Classic games and Doodle games. Each section includes lots of interesting games that are easy to play and informative as well. You can decorate your images that you are going to share with your friends and make them more interesting by scribble hurriedly on them or by adding some text to describe what you want to highlight in the picture. You can emphasize on a particular word while chatting with your friends by making the text size larger or smaller. In order to get this effect you need to press and hold the arrow/send button and move it upwards smoothly to enlarge the text. If you want to reduce the size of text, then slide it down. There are 25 unique sticker packs that have been developed by various independent artists and studios from different countries. These stickers are just like other platforms and users can download new from the sticker store. By default, there are 4-5 sticker packs already coming, but if you want to download more sticker packs, you have to click on ‘+’ sign, then ‘Sticker’ and you need to click on last option which has + sign on sticker. This will open a ‘Sticker Marketplace’ from where you can download the sticker pack of your choice. 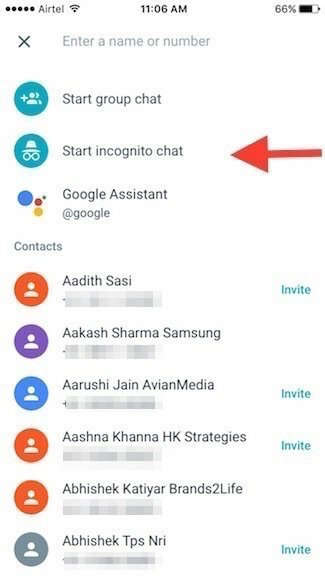 By default, Google Allo doesn’t allow end-to-end encryption chat, but gives Incognito mode, which is useful if you don’t want to save the details of your conversation. 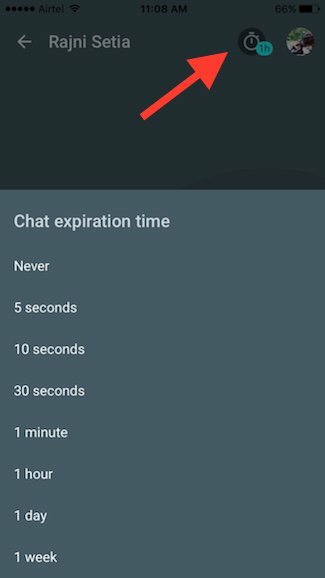 Users can specify the time duration of the chat by setting up the time and the chat will be deleted accordingly. These transitory chat will be covered by the gray incognito icon to show you their status. The Incognito mode can also be used to enable end-to-end encryption of your chat. You can click on ‘New Chat’ option that is on the bottom right hand side. Clicking on it you will find ‘Start Incognito Chat’. Here you can find the list of your friends whom you can chat with. 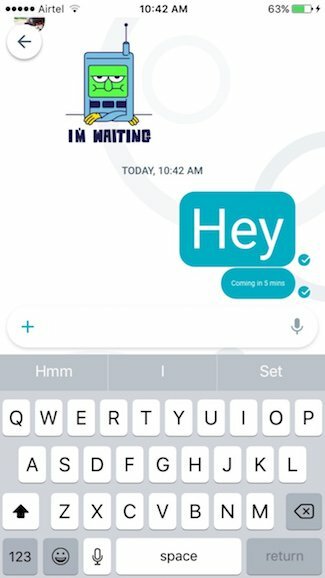 Start a conversation with any of your contact, you can set the expiration time by clicking on ‘Clock’ sign on top left hand side that gives you various time options such as Never, 5 seconds, 10 seconds, etc. Want to watch a movie with your friend, need to see the movie timings without leaving the app. 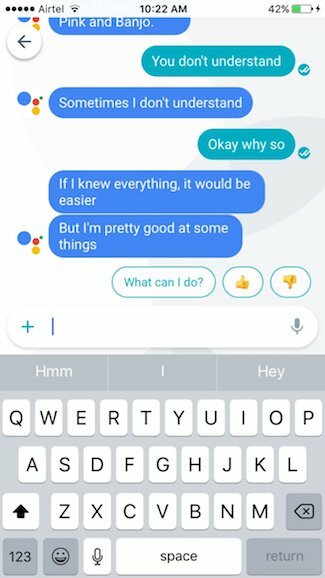 You can ask the Google Assistant in the chat itself by typing @Google and ask your question. 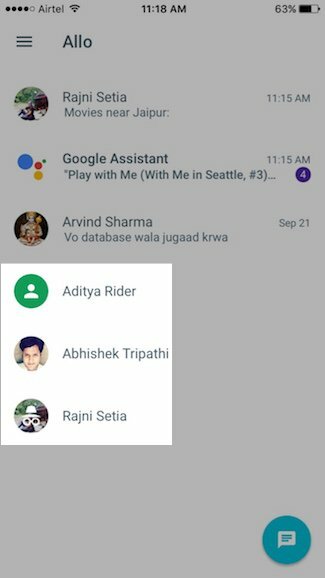 Applications like WhatsApp show you the list of those who already have that app installed on their phone but Allo is different. 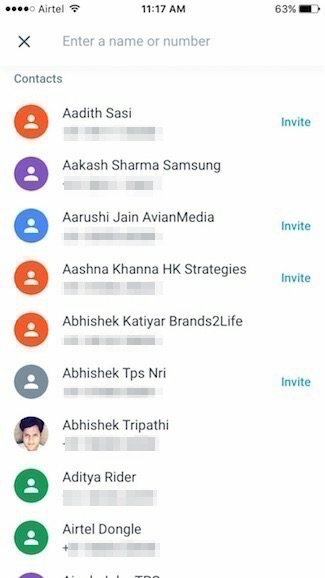 It shows you the list of all contacts and those who don’t have Allo installed will be seen with the invite tag at the end of their name. You can send messages and they will go over the data pack or Wi-Fi so that there is no fear of paying extra for such messages. However, chat history cannot be transferred and you won’t be able to see those messages in your default app too. 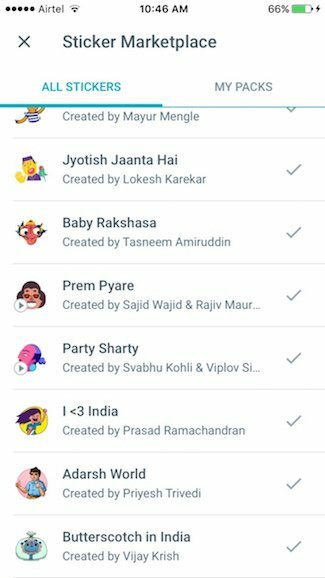 They will be visible in Allo only. If you pick someone from the contact list and start typing a message for that person, but suddenly decide not to have a conversation and stop doing anything on that chat window, it will stay open as an empty chat window. If you select more people and do the same, more black chat windows will open on your main screen. You can delete these blank chat windows by opening the chat window you want to delete. Once the chat window is open, click on the profile picture and it will show you options in which you will find ‘Delete’ option. By clicking on it, chat window will be erased even if you have a previous conversation with that contact. 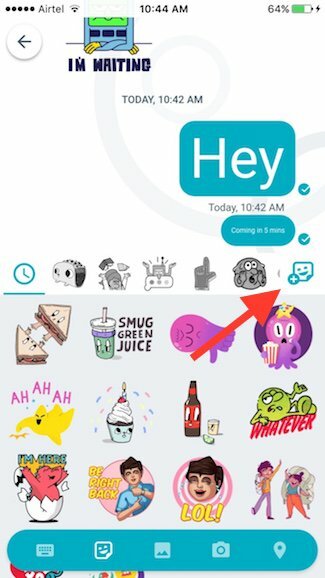 Alike WhatsApp and Telegram, Allo display single and double tick for sent and delivered messages. There is no green tick that shows when the message is read by the recipient. 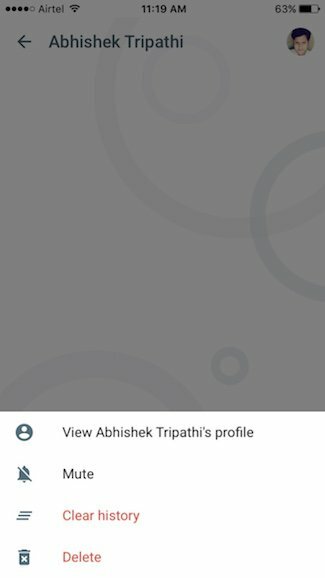 Unfortunately Allo doesn’t have the last seen feature to determine when the contact person was available online last time. 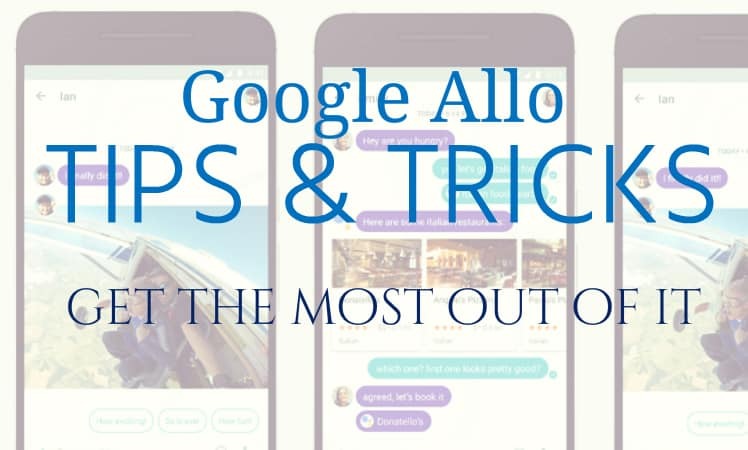 So, these are some of the best Google Allo tips and tricks that we think will surely enhance your messaging experience with the new app. Though, there are some limitations while using Google Allo app, but we are sure that Google will come up with the solutions in the next update.